A Statutory Will is the name given to a Will that the Court of Protection can put in place for a person who’s lost the capacity to make a Will themselves. One may also be required if the person has a Will but it is out of date or there’s been a change in their circumstances. In each case, an application for a statutory Will to be put in place must be made to the Court of Protection. An application is normally made by the person authorised to act for the person lacking mental capacity. This is often a Court of Protection Deputy or someone with Power of Attorney. What’s involved in making a Statutory Will? If the application is approved the Will is signed and sealed by the Court of Protection. This process can be complicated and stressful, and family members can disagree. If that happens the Court of Protection is likely to involve The Official Solicitor who will step in to represent the interests of the incapacitated person. The process of making a Statutory Will can be complex, but we can help you. We have a team of experienced Court of Protection solicitors ready to help Deputies and Attorneys make a Statutory Will application and manage the expectations of family members throughout. Don’t worry, if the application is urgent we can help get it fast tracked through the Court of Protection. Contact us for a free and confidential initial consultation. We have specialist Court of Protection lawyers in London, Manchester, Bristol, Cardiff, Birmingham, Southampton and Taunton. Call us now on 0800 652 8025 or contact us online. 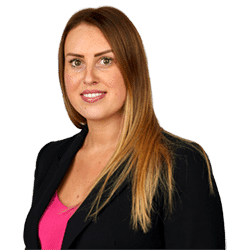 Susanna is a Solicitor in Clarke Willmott's Bristol Private Client team specialising in Court of Protection and mental capacity work.